Digital communication improves patient-doctor trust, frequency of physician interactions, and outcomes, according to a few recent studies. So, why aren’t you utilizing this form of communication with your audience? At Quaintise, we find the answer is simple, really; fear. There is an unqualified fear that email or social media communication will become overwhelming, intrusive, and down-right bothersome with little to no positive outcome even though the studies and the experts disagree. In today’s digital environment, communication via email, text, recorded voice message, even social media, should be highly integrated into your marketing and communication campaigns. In fact, these kind of digital communications should be commonplace and routine for you and your staff. It is one thing to remind a patient about flu vaccines when they visit for an annual checkup in July, and hope that they remember come flu season. It is quite another to provide helpful insight into flu season on social media during flu season while simultaneously shooting personalized emails and/or text messages to patients in greater risk categories for getting the flu. Reading this blog as a patient, not as a healthcare marketer or advertising agency professional, think about the last time you were able to actually speak with your physician on the phone, ask them questions about a prescription, or explain some symptoms to them. I’d venture to guess it’s been a while, if ever, in which you had a lengthy and productive conversation with your physician on the phone. 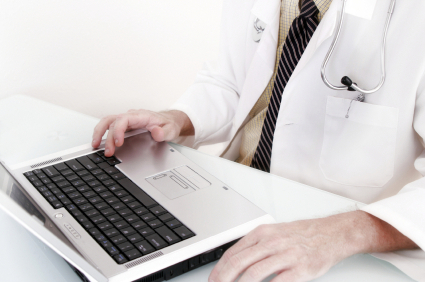 Physicians are notoriously impossible to reach on a personal-professional level, which is one of the reasons why so many of this generation prefer to use email. It becomes the most productive system of communication. In addition, digital communication provides a safe place for individuals to express private concerns, details which they might not feel as comfortable talking about face-to-face, but are privy to certain privacy benefits when typing personal questions into an email. Digital communication provides patients with access 24/7, something that increases transparency and builds trust, two aspects that are supremely missing in today’s healthcare industry. Making yourself completely accessible to your patients at any time of the day or night sends the message that you care about their situation and want to offer additional assistance. At Quaintise, we can facilitate these healthy digital connections, educate your patients and potential patients on the benefits of utilizing digital communication, and smooth out the entire process. Give us a call today for more information.